We’ve put together the most effective marketing tools on the web, giving you industry leading access to ongoing local and organic search engine optimization, review building and reputation management. We understand the importance of claiming or establishing your local listings on major search engines and directories like Google, Yelp and Bing. In fact, these listings have become critical for dentists seeking to gain new patients. 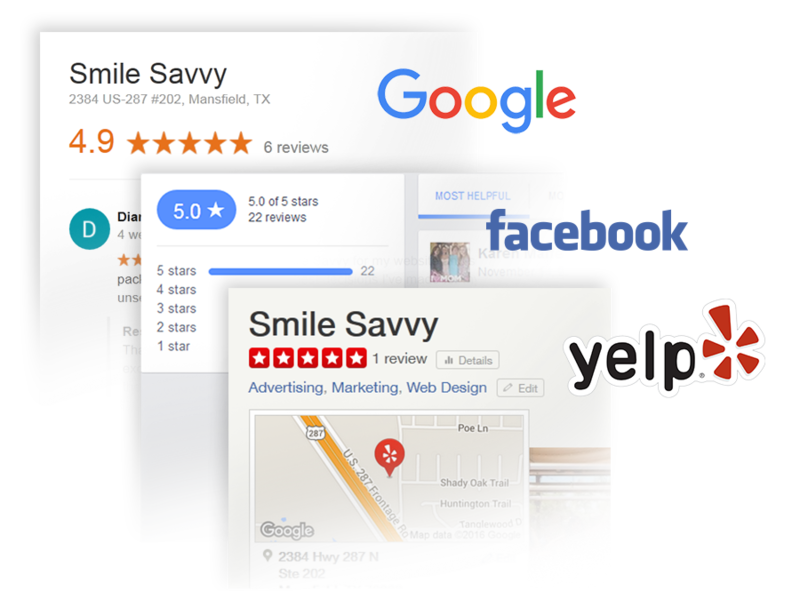 By using Smile Savvy to claim and maintain your search listings, you are ensuring that as new directories and new technologies emerge, your practices’ information stays accurate and secure. The internet has fundamentally changed the way in which new patients choose a dental practice. For better or worse, review sites like Google, Yelp and Facebook allow potential patients to research the experiences of others. In fact, 76% of Millennials view online reviews as the main criteria for selecting a doctor. 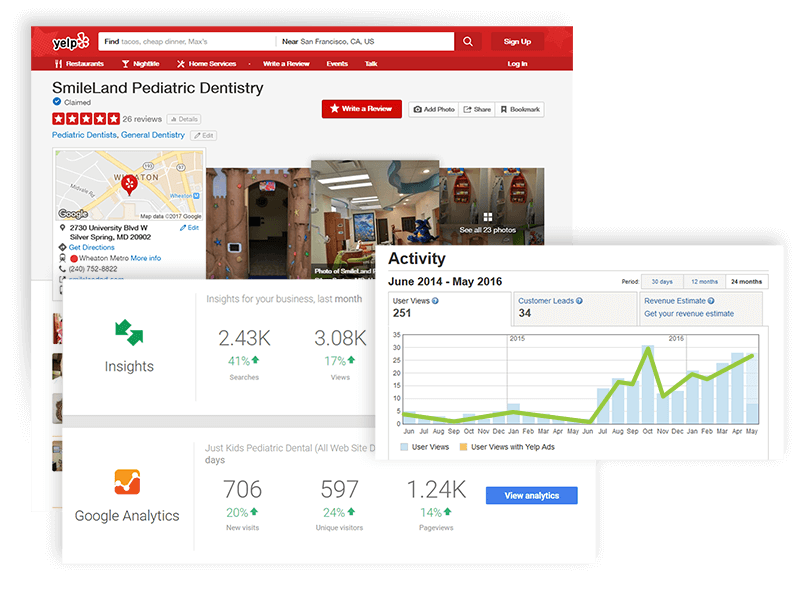 It is essential to stay aware of what is being said about your practice, and to actively manage your online reputation while building positive reviews. Review Pro sends you an email alert of new reviews. Through its convenient portal, Review Pro allows you to respond to each review and choose your favorites to display on your website, giving you control of your reputation.